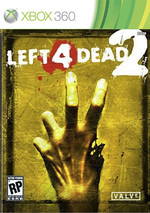 Left 4 Dead 2 is the sequel to the best-selling and critically-acclaimed co-op multiplayer smash from Valve, creators of the Half-Life, Portal, Team Fortress and Counter-Strike game properties. 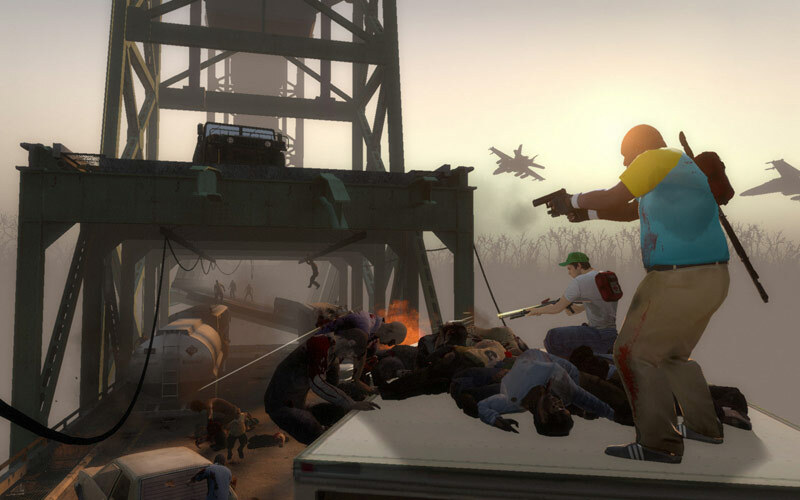 With multiple multiplayer options both on and offline, extensive AI custom functionality, four character options, new melee weapons and more, Left 4 Dead 2 promises to become one of 2009's best games on the Xbox 360 platform and set a new benchmark for co-op centric action games. 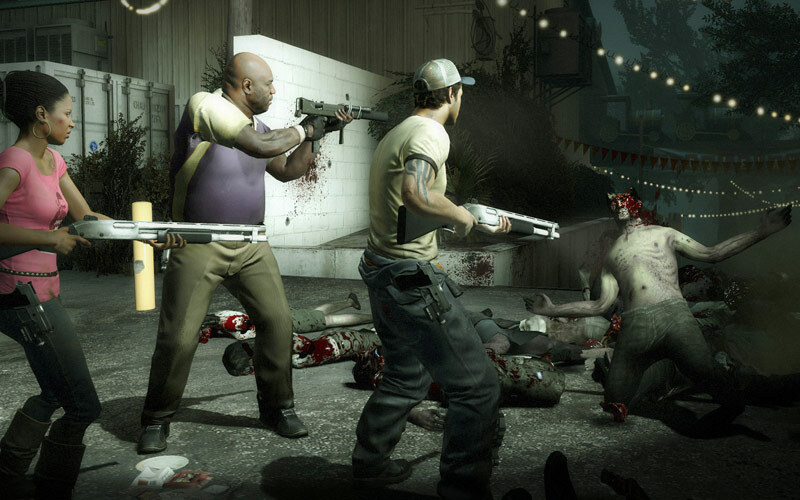 Left 4 Dead 2 is, overall, a terrific way to follow last year's game. There are some let-downs, like the new Survivors' personalities, and the sometimes strange balancing issues during the co-op Campaign, but the ultimate package is a more than worthy successor to the Left 4 Dead name. The original premise has proven more versatile than I ever would have imagined, and the new modes, new Infected, new Campaigns and new items make it feel like a completely different experience. Left 4 Dead 2 is able to out-gore, out-scare and out-explode the original in just about every way. Instead of a very grey, kinda boring cityscape, you’re running through hotels, swamps, plantations, riverfronts, malls, abandoned highways, amusement parks… we could go on. The diversity is staggering and ultimately makes each movie-like campaign more exciting, tense and memorable than the first game. The newest chapter in the undead uprising now oozes with even more of the proven developer’s trademark personality and polish. If you are among those who think the sequel is coming too soon, prepare to eat your words like so many brains. 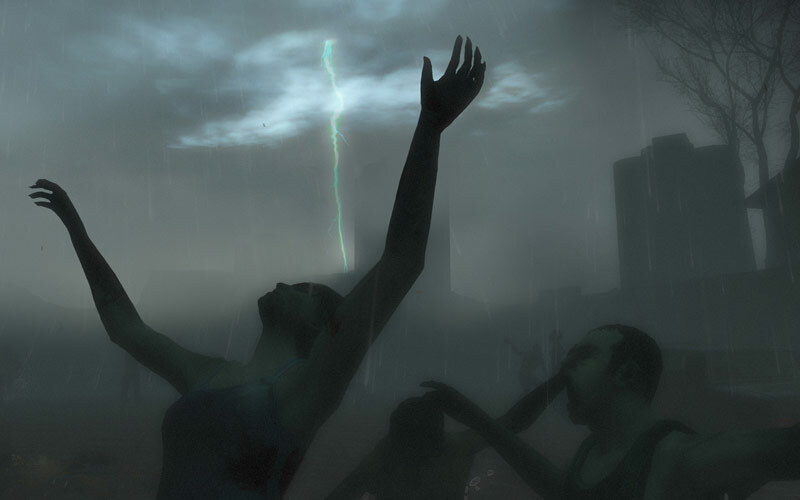 Left 4 Dead 2 is everything a sequel should be: perfected, expanded, and an absolute riot. The new campaigns and unique game modes offer more variety and more longevity, while all the other additions and tweaks make the already great gameplay even more enjoyable. Even the AI has improved a little bit, and while they still aren't big on using pipe bombs or Molotovs and are prone to missteps, they seem to have a better grasp of tactics and will follow you a bit more closely. Still, Left 4 Dead 2 is best enjoyed with friends. 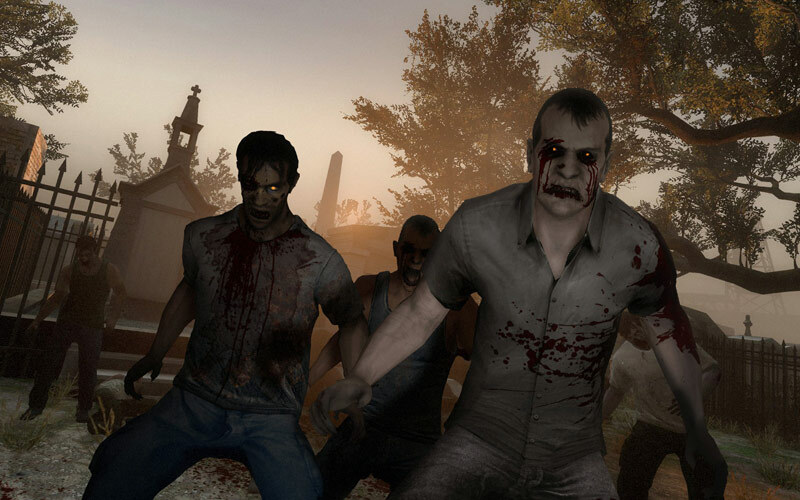 Though not an astounding improvement over the original, Left 4 Dead 2 successfully rekindles that magical zombie-hunting feeling with great new content, and a cool competitive multiplayer mode to boot. It may take some convincing to draw you to its cause, but cooperative team-based shooting is rarely more fun, or hectic, than this. Anyone who's complaining about this sequel being an overpriced expansion might as well hang it up; there is simply far more content by volume in this package than in the original. The core of Left 4 Dead may have lost some of its newness in the last 12 months, but the wealth of additions in this sequel ought to keep you blasting zombies and munching on brains for a good long while. With the Tank, Boomer, Hunter and Smoker, these special infected not only wreak havoc and induce incredibly unique situations, they are exceptionally fun in competitive modes (the Witch also returns, and is once again not playable). 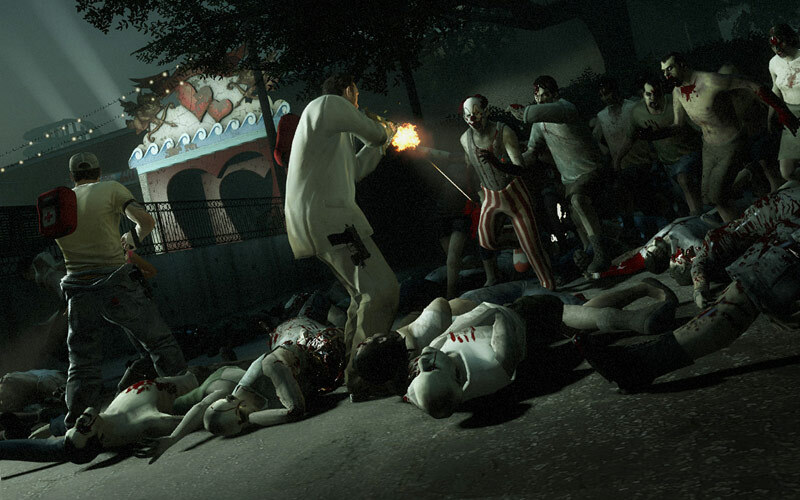 Competitive modes, like in L4D, are ridiculously fun, and in L4D2 there’s no shortage of interesting games to play. With all the new weapons and special infected, and thus employable strategies, hours of fun puts it lightly. It's an amazing volume of new modes and features for a game that once kept things simple, but it shouldn't come as too much of a surprise to see them. Whereas once we treated Left 4 Dead as a stopgap between Half-Lifes, this is no longer a weird little side project with modest expectations, and Valve is confident enough to play around with it, safe in the knowledge that you can trust your players. La evolución está a todos niveles. Los nuevos enemigos suponen nuevos retos, primero por sus propias características y después por el hecho combinarse con los infectados originales; las armas permiten soluciones ante estos nuevos retos y el diseño de niveles ha ganado en complejidad y variedad. El resultado final es que se ha potenciado todavía más la experiencia cooperativa, clave del éxito de esta franquicia. Au fond, Left 4 Dead 2 représente bien l'expérience coopérative ultime que nous espérions découvrir. Si certains éprouvent encore quelques doutes, sachez qu'ils n'ont plus vraiment lieu d'être : Valve ne s'est pas moqué de nous et livre une nouvelle référence. Nous ne sommes pas près de goûter à nouveau à une nuit de sommeil complète. Muitos podem pensar que poderia ser lançado como uma expansão do primeiro jogo, mas não seria justo, nota-se que a equipa trabalhou duro para que o resultado final fosse o que está à vista. Quando jogamos é que notamos que os pormenores fazem toda a diferença, pequenos ajustes na jogabilidade, nas opções, nas Campanhas e até no arsenal ao nosso dispor fazem deste jogo uma aquisição obrigatória para os apreciadores do género. In conclusione, questo sequel ha davvero migliorato l'esperienza offerta dall'episodio precedente, e in appena un anno Valve ha dato prova di conoscere realmente i propri affezionati e il modo migliore con cui relazionarsi, senza svendere le proprie idee e senza svilire le sue proprietà intellettuali in cerca di guadagni facili. Left 4 Dead 2 è la prova non solo della riuscitissima partnership tra il team di Newell ed EA, ma anche del rispetto che lo sviluppatore ha nei confronti dei giocatori. Vooral vanwege de multiplayer modi is Left 4 Dead 2 weer een titel geworden die je in huis moet halen. Eigenlijk is zo’n beetje alles in de game aangepakt en opgepoetst en is er een aantal nieuwe vijanden in de game te vinden. Toch heeft Valve hier en daar nog een steekje laten vallen. Zo is de kettingzaag niet helemaal goed uitgewerkt en het acteerwerk van de personages nog steeds niet op zijn best tijdens de rustige momenten.